A new, decentralized global platform is aiming to help streamers keep more of their earnings — and create a blockchain-driven ecosystem where they will find it easier to receive donations from their loyal viewers. According to DeStream, the esports market is growing, and as a result, audiences on popular streaming services such as Twitch, YouTube and Mixer are increasing by an average of 10 percent a quarter. This has coincided with a rise in the sums of money being donated to streamers by appreciative fans. A company presentation cites figures from SuperData Research which show donations to professional gamers neared $800 million in 2017 alone. DeStream announced that the ecosystem will be integrated first in such streaming services as Youtube, Twitch, Mixer and afreecaTV. The company believes these integrations may increase the initial price of the DST token because they will be widely used among streamers and would lay a strong foundation that should keep the project afloat, compared to other IСOs. Whereas talents currently face high fees from the offered payment gateways, DeStream is planning to reduce them substantially — to 0.77 percent per transaction. The startup also wants to make it easier for content creators to access other revenue streams which, until now, have been the preserve of top-tier talent. DeStream says its infrastructure will enable advertisers to launch campaigns with the sector’s rising stars, and use big data to ensure their promotions reach the right people and achieve the biggest possible impact. According to DeStream, its suite of solutions will help reduce the distractions facing streamers and give them the opportunity to focus on producing premium broadcasts. The company stresses that it is not designed to be a streaming platform — but instead will be integrated into existing ones. To engage viewers, streamers will be able to use dozens of smart contract templates “for the implementation of almost any idea,” the platform’s white paper reveals. 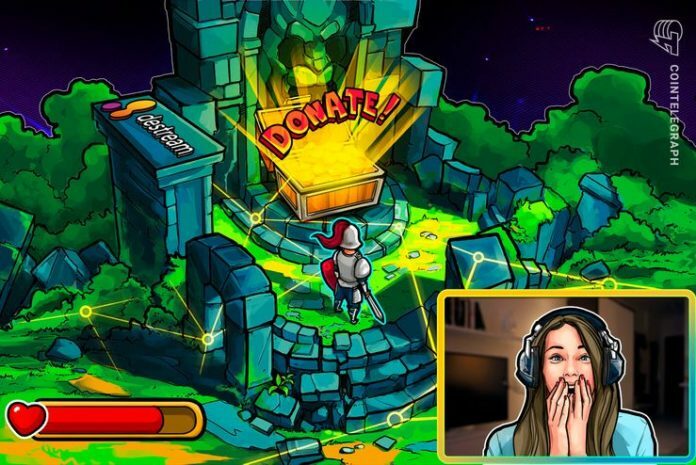 Fans stand to benefit because they will enjoy higher levels of engagement with their idols — with features such as live voting by using tokens, enabling them to be active participants during a stream rather than passive viewers. An internal marketplace also means fans can purchase skins and in-game goods in one place. DeStream says that the DST token is going to be at the beating heart of its ecosystem and will offer a plethora of features. As well as enabling viewers to make donations, it will mean streamers can be rewarded by advertisers for engagement. While the company is aiming to make withdrawing funds easy for streamers, it hopes to simplify managing funds further in future by launching a debit card, enabling them to spend their income in stores or withdraw cash from ATMs. DeStream is also creating a not-for-profit organization known as the Worldwide Streamers Association, which has the goal of maintaining and developing the industry and allowing professionals to share their experiences and train others. In time, it’s hoped that this association will help promote the market and help businesses thrive. The company has released a detailed roadmap which unveils its priorities for the future. During the first half of 2019, DeStream hopes to run an alpha version of its platform — including a mobile app — and develop a blockchain-based voting system. Later in the year, it hopes to launch a beta version of its marketplace and throw an annual event known as DeStream Festival. Following testing, its mobile applications are also set to be released for the first time. Its public token sale ends on Sept. 30. The co-founder and chief executive of DeStream is Anar Mekhtiev. As well as teaching a number of courses focused on blockchain, he has more than 15 years’ experience in software development. His fellow co-founder and CFO is Tachat Igityan, who was named as one of the 50 most influential people in web development by Tagline.